James Comer, U.S. Representative for the 1st District of Kentucky, on how the so-called Equality Act will override the religious freedom protections of the Religious Freedom Restoration Act. Joel Rosenberg, New York Times bestselling author, on Israeli Prime Minister Benjamin Netanyahu’s recent electoral victory. Donna Harrison, Executive Director of the American Association of Prolife Obstetricians and Gynecologists (AAPLOG), on why women’s health facilities that receive federal funds should be physically separated from abortion facilities. 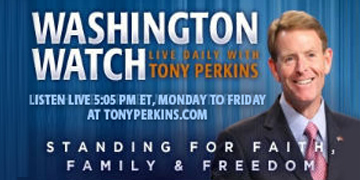 Travis Weber, FRC’s Vice President for Policy, and Peter Sprigg, FRC’s Senior Fellow for Policy Studies, on the events of the week, including the hearings on the so-called Equality Act in the U.S. House and California Senator Kamala Harris’ apparent double standard in promoting a bill to combat animal cruelty but blocking a bill to save the lives of babies who survive abortion. Read more about how FRC is defending values across the globe.